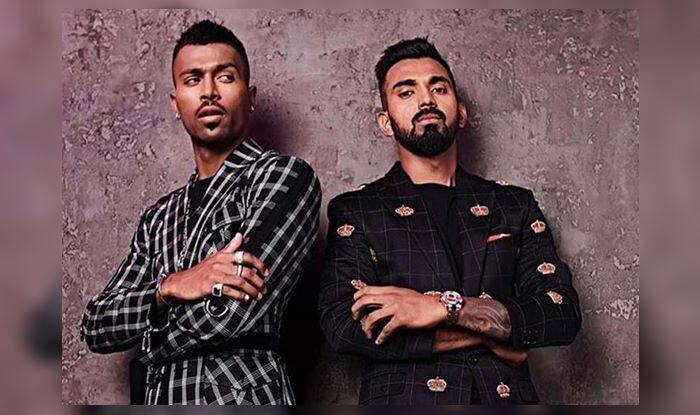 COA Member Diana Edulji wants India cricketers KL Rahul, Hardik Pandya to be banned for their misogynistic remarks on a popular show. COA Member Diana Edulji wants India cricketers KL Rahul, Hardik Pandya to be banned for their misogynistic remarks on a popular show. She has said that an apology is just not good enough and will not serve the purpose, she wants a ban to be imposed on the cricketers according to a Times of India report. Meanwhile, both KL Rahul and Hardik Pandya are in Australia as a part of the ODI squad for the upcoming three-match ODI series. While Hardik Pandya has apologised, KL Rahul is yet to do so though he did not go the distance like Hardik. “Cricketers over the years, even while bonding with film stars, have maintained their distance for the simple reason that their primary role is representing the country. Comments like these don’t show anyone in good light. This is sad. Someone of the stature of Bishen Singh Bedi also did not get away with going on a television show in the 70s and was handed a one-match ban,” a source was quoted as saying by The Times of India. Three days after the celebrity chat show aired on Sunday, the two cricketers on Wednesday were issued show cause notices by the BCCI, which took note of the massive outrage on social media and elsewhere. For most of the show, it was Pandya, who issued an apology for the remarks called sexist and misogynistic, who took it upon himself to say the most outrageous things, mostly on women. The 25-year-old later said he got carried away by the “nature of the show” and is currently busy drafting a response to the BCCI show cause notice. Rahul’s comments on the show have not drawn any criticism but the fact that the duo appeared together perhaps also had him caught in the social media storm. Ironically, Rahul was questioned about his thoughts on social media on the show, whether he thought of it is a blessing or a curse.